Conceived by General Dodonna, the RZ-1 A-wing interceptor proved its worth by crippling Star Destroyers during the Battle of Endor. Now this highly maneuverable starfighter adds another exciting dimension to Rebel squadrons in the Star Wars: X-Wing™ Miniatures Game. 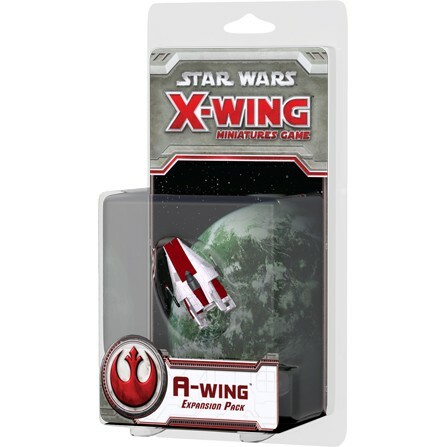 The A-Wing™ Expansion Pack introduces one A-wing miniature with four pilots and five upgrades. Only the most talented pilots belong in an A-wing cockpit as they push the starfighter’s limits in the galaxy’s deadliest dogfights!